EASILY GET A BIRDS-EYE VIEW OF EACH OF YOUR PROJECTS AND HOW THEY ARE PERFORMING. Workflow are pre-built set of Milestones, Task Lists and Tasks that you can easily apply to a new project (also know as a pod in Brightpod). Think of workflows as templates to help you work faster and smarter. 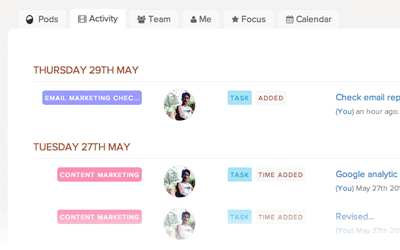 Why duplicate similar tasks for another marketing project when you can easily clone them? For example, you are engaged in managing a client's email marketing campaign. 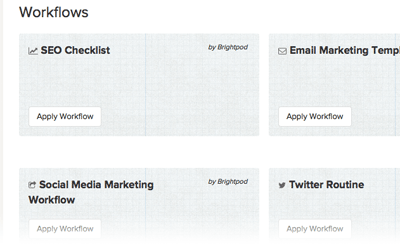 Brightpod’s email marketing workflow can be selected while adding a Pod so that you don't have to manually add milestones and tasks required to get this type of a project completed. You can even add your workflows and apply them to new projects that you create. Receive a daily (7am) email notifying you of what happened the previous day and a list of your overdue work. 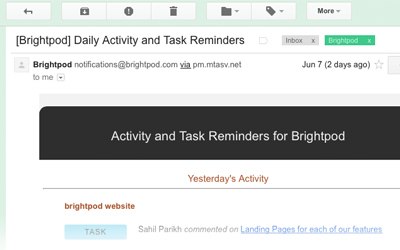 By default, everyone in your team will receive the daily digest email. Great way to keep everyone in the loop and also aware of their overdue work. Pod is a term we use within Brightpod for projects. You can add a Pod for an internal or a client activity e.g. Client SEO Project, Client Facebook Page Marketing, Client PPC Account etc. Pods that are removed are in an "Archived" state, so that you can recover them later when needed. 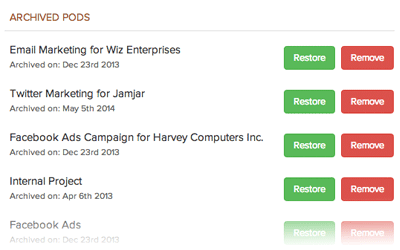 We built this feature to prevent accidental removal of Projects. Each project can have a color associated with it. 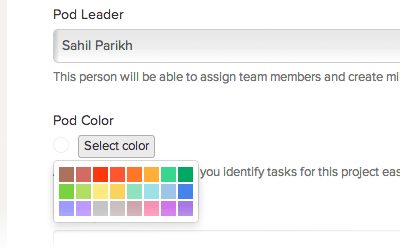 This color helps you identify your projects on the Calendar and other places in Brightpod. The activity page shows everyone a real-time view of what is happening within a project. You need to play catch-up? Just glance at the activity page for a particular project and see what everyone is working on. 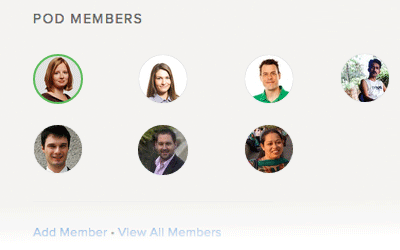 A list of all your team members neatly displayed so you always know who is part of your project. Brightpod is permission-based - only people who are part of your project will be able to access that project. Each project has one project lead (marked in a green circle). 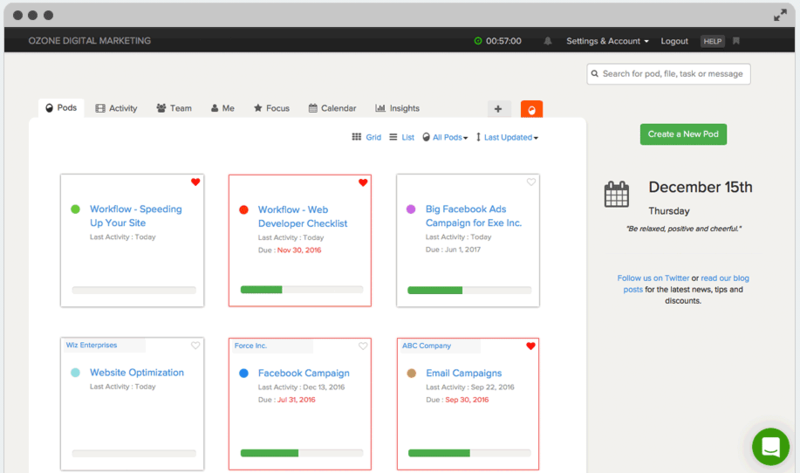 Although Brightpod offers a number of other useful productivity tools, it’s the platform’s editorial calendar that really stands out.